SHINE is ready to manufacture your prototype cable assemblies. We use automated tooling, employ a highly-trained workforce, and are committed to quality. Learn more about our capabilities. What are Prototype Cable Assemblies? 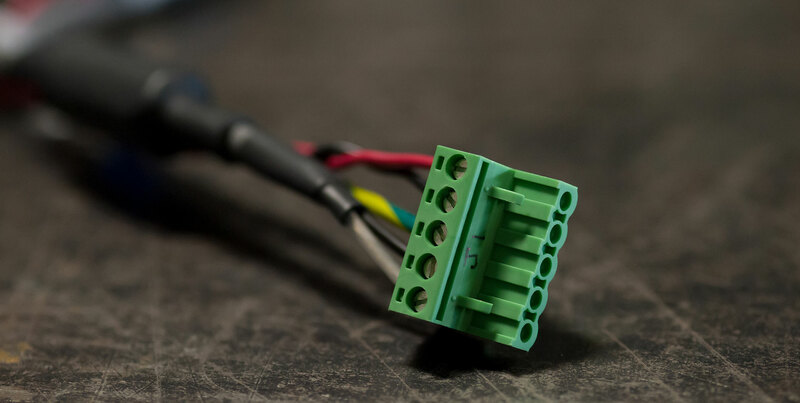 Prototype cable assemblies allow engineers to test their cable assembly designs before specifying a final product. In this way, designers can simulate the performance of electronic systems under application conditions. Installers and testers can also acquire information that helps optimize the final design. SHINE provides high-quality engineering support services, and can deliver your cable assembly prototypes with speed and accuracy. SHINE’s capabilities include these products. Because we work closely with your technical team, SHINE can make suggestions that support cost savings and design for manufacturability (DFM). In this way, your final cable assembly design will meet all of your application requirements prior to production. At SHINE’s manufacturing center in Adams, Massachusetts, skilled personnel use state-of-the-art equipment to produce prototype cable assemblies to the highest quality standards. In addition to custom cable assembly services, we offers design assistance and component sourcing. We also support product quality and ease-of-installation. Contact us for more information about prototype cable assemblies.